Manufacturer & Exporter of PVC Stickers. These labels are supplied to that industry. 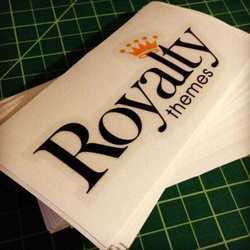 We offer premium PVC Stickers that are extensively used in various industries. Owing to their unique designs, these stickers also make the products easily identifiable in the market. Riding on unfathomable volumes of industrial expertise, we are engaged in manufacturing a broad assortment of Plastic Cricket Bat Sticker. Printastick™ alpha numeric stickers are self-sticking plastic stickers which come in different sizes and colour. The letters can be easily lifted from the sheet and pasted to any clean surface. The use of printastick™ is extensive and can be used in schools, houses, offices, factories, studios, ETC. 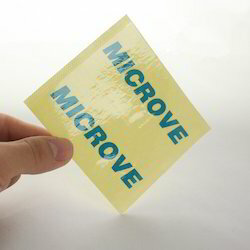 We manufacture a large array of Transparent PVC Sticker that is reckoned for everlasting adhesive. Manufactured from quality raw materials, our gamut of Transparent PVC Sticker is waterproof. You can easily avail Transparent PVC Sticker in different specifications to meet the different requirements of the clients. Keeping in mind diverse requirements of the clients, we introduce a wide array of Plastic Stickers. These Plastic Stickers are permanent plastic labels, which gives an impressive look to the place, where it is stick. These stickers are designed and developed by our experienced team of professionals by following strict manufacturing process.